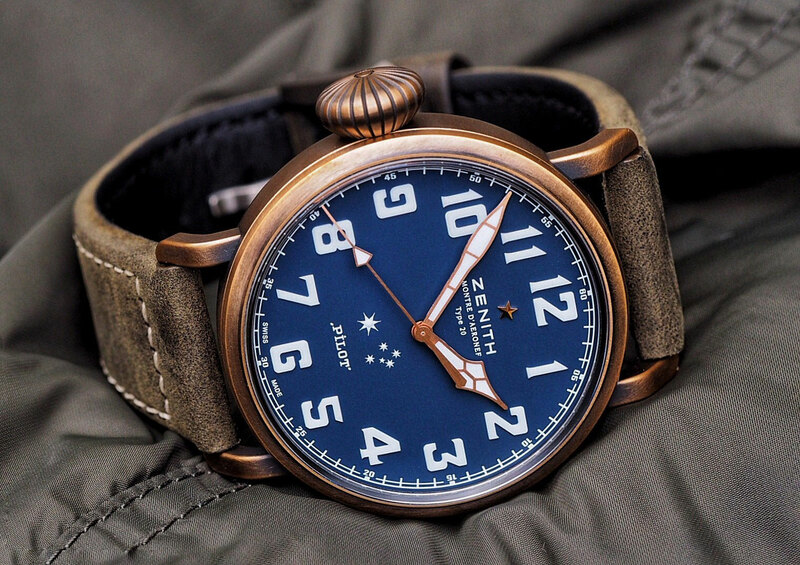 During a time when planes were more fabric than steel, and I’m sure the phrase “on a wing and a prayer” had a much more literal meaning, Zenith were pioneering the use of pilot watches, with French aviator Louis Blériot wearing a Zenith on his wrist as he made the first ever flight across the English Channel in 1909. 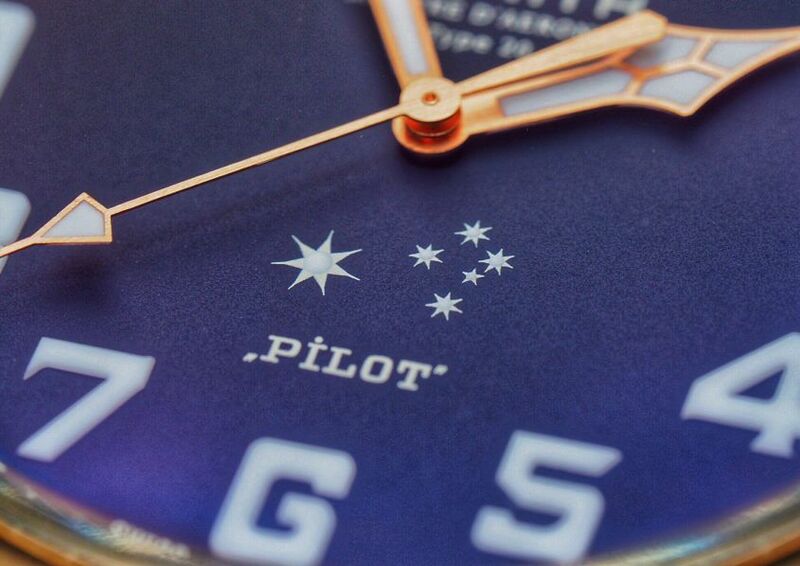 In fact, Zenith were so early to reach the skies that they are the only brand that can use the word “Pilot” on a watch dial, thanks to them being marketing-savvy and trademarking the term. All this is a roundabout way of saying that Zenith’s Pilot collection has some serious cred. 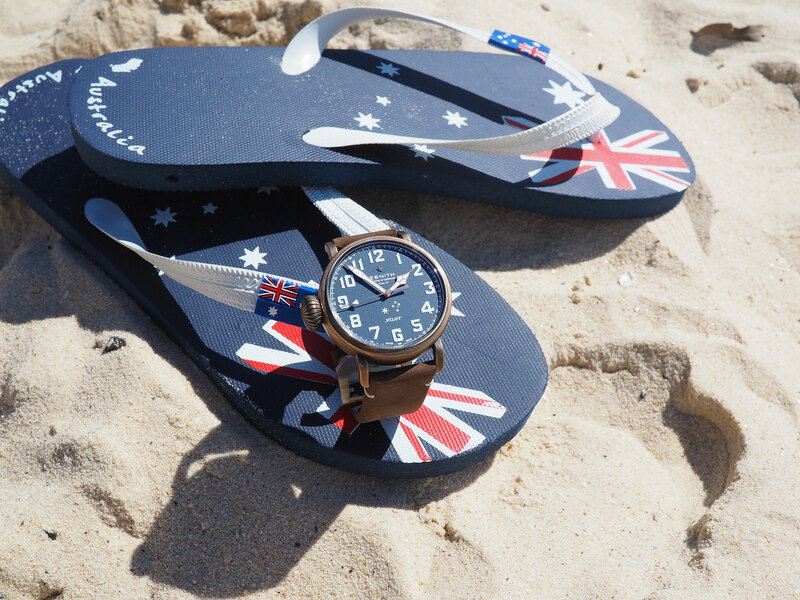 This year, the well-received bronzed-case Pilot Type 20 Extra Special – which debuted in 2015 – has been given a dose of down under, with the release of an Australian-market-only limited-edition, made for the Australian Watch Forum, a Facebook group, which was created in 2015 by two Aussie watch guys, Nick and Nathan, and now boasts (at the time of writing) more than 3000 members. The AWF, in an effort spearheaded by forum moderator Don, worked with Zenith in Australia to design the brand new Pilot Type 20 Southern Cross. A nice bit of local community building on Zenith’s account, as well as a sign of how watch brands are now more willing than ever to meet the market. On paper, this 26-piece limited-edition isn’t much different to the original. There’s a hefty, patina-friendly bronze case measuring 45mm wide and 14.25mm thick, water resistant to 100m. A titanium case back bearing an etching of Louis Blériot’s channel-crossing plane. And sitting inside is the in-house calibre Elite 679 self-winding movement, ticking away with a minimum power reserve of 50 hours. However, you don’t have to look much further to see where the real differences lie. The most obvious is the flipping of the screwed-down crown from the right to the left-hand side of the case. While oversized crowns can sometimes dig into the back of a wrist, having it on the left removes any possibility of it becoming an obstacle. And while I’ve always found the rounded onion shape of the regular Pilot Type 20 crown to be quite comfortable when worn, what’s not to love about the aesthetic of a “destro” case? 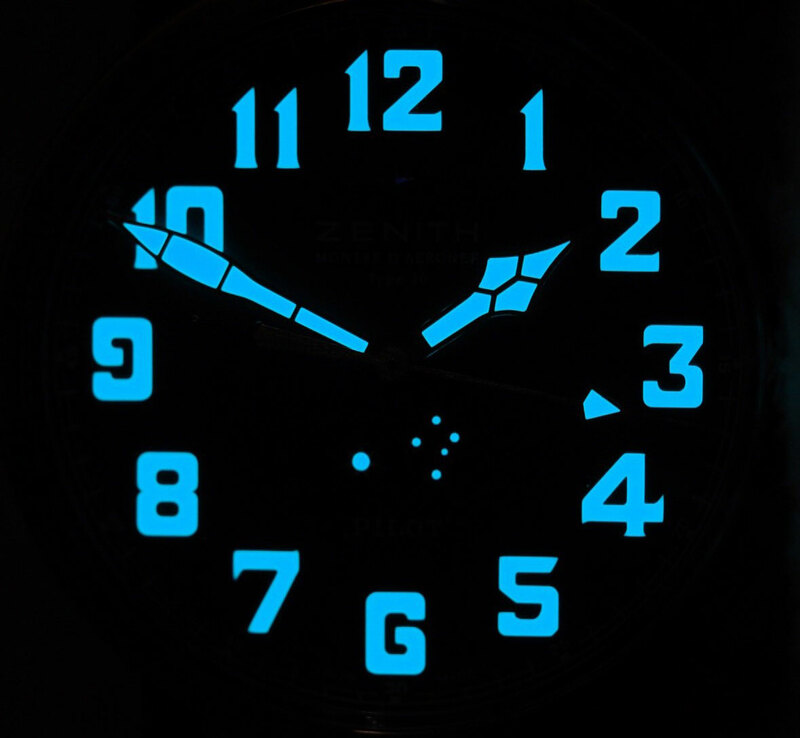 Looking at the dial, the large Arabic numeral hour markers remain, except now they’re a crisp white with a layering of SuperLuminova to help them glow a brilliant blue in the dark. They’re also now set against a blue-sky backdrop with a matte finish that complements the raw and ever-changing bronze case of the Type 20 Southern Cross. Paired with the golden finish on the hands and a slightly domed sapphire crystal, and in the right light, the dial creates its own eye-catching lightbox effect. With the real star attraction truly shining when the lights have gone out. Glowing with the same bright intensity as the hour markers, and floating just above 6 o’clock is the Southern Cross and seven-pointed Commonwealth Star. With elements of the southern sky, a true blue dial, and bronzed-bodied case, the release of the Pilot Type 20 Southern Cross shows Zenith’s commitment to the Australian market, and perhaps more notably, to the collectors and enthusiasts that call this wide brown land home.